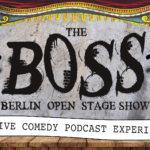 Berlin’s first international, alternative comedy stage, café and bar. 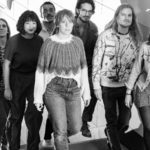 More and more English speakers are flocking to Berlin every year, and some of these people also just so happen to be FUNNY. And lucky for them, so are the locals. So, let’s get to work. You came here for the culture, didn’t you? Well, you’ve come to the right place. Welcome home, funny people of Berlin. 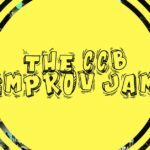 We are CCB, Berlin’s first international, alternative comedy stage and bar, and we have plenty to offer those of you who both like to laugh and make people laugh (or try to, anyway). 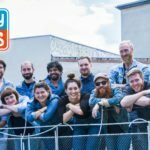 With our 157 square-meter space, we’ve managed to raise enough money to build a soundproof theater capable of seating 70 people (more with our standing room option) and full bar, all so you can laugh as loud your heart desires. 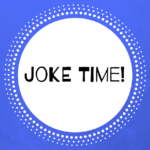 On top of our German and English stand-up, improv, and podcast shows, we offer a full curriculum of comedy improv classes for beginners and advanced students in both English and German! So, what more do you need? Craft beer? A little high maintenance, but FINE. You got it. We welcome you to come on by, drink, learn, and laugh with us until your belly sufficiently hurts.